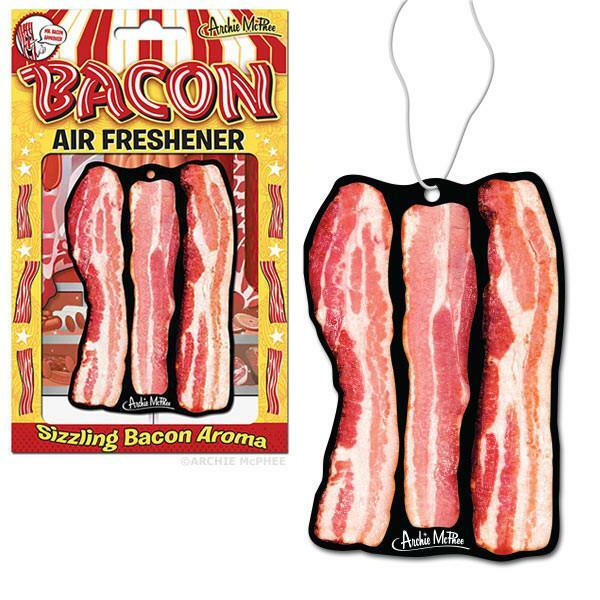 Any bacon lover would be proud to hang this felt Bacon Stocking on the mantle. Beautiful, delicious marbling of bacon fat overlays a red, cured meat background. Based on volume, the stocking could hold about 4 pounds of uncooked bacon, but for sanitary reasons, we advise against testing that out. 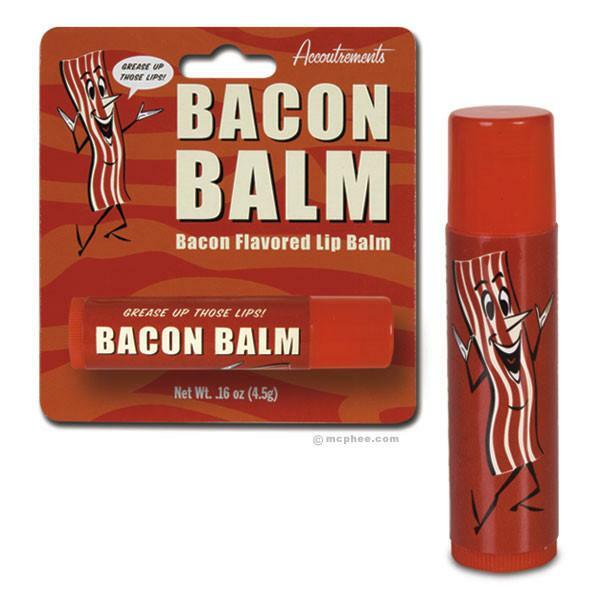 For stocking stuffers that won’t expose you to trichinosis, check out our collection of bacon items. 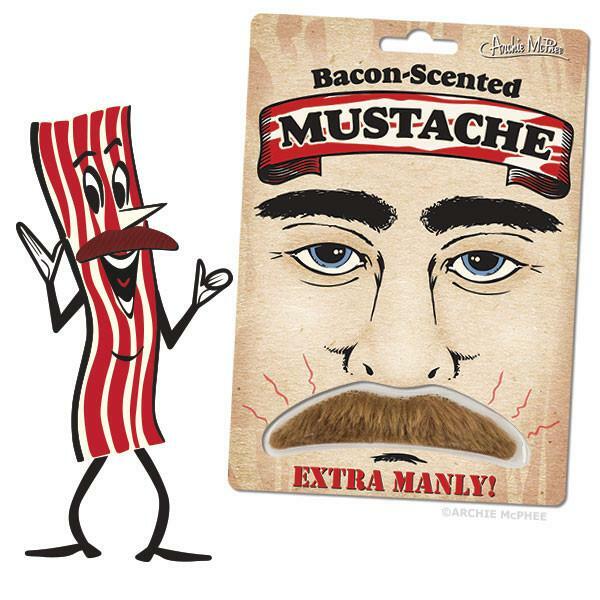 Nothing beats bacon on Christmas! 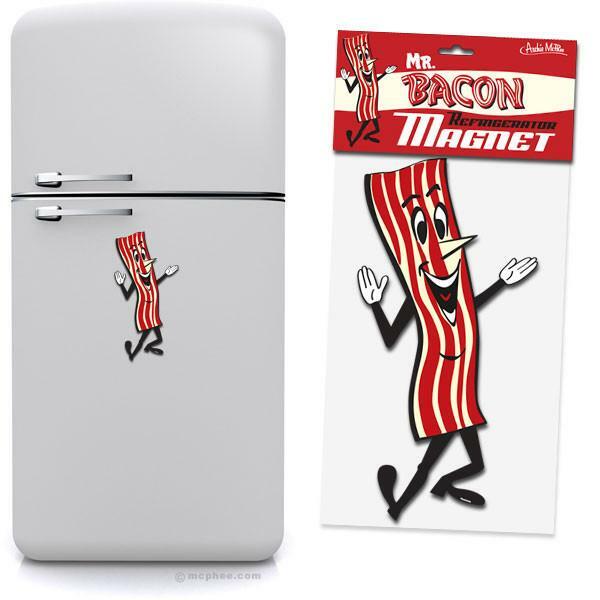 Includes a snazzy Mr. Bacon dangle.